Each of the phones in LG’s X-series has a special skill. The new LG X4+ is rugged with a MIL-STD-810G certification, similar to the X venture though at a lower price point. The X4+ puts battery life ahead of performance with 3,000mAh capacity and a Snapdragon 425 chipset (with 2GB of RAM, 32GB storage). It runs Android 7.0 Nougat on a 5.3” IPS display (720p resolution, nothing to write home about). This isn’t a simple low-end affair. The phone boasts a high-quality DAC with support for 32-bit 192kHz audio. Or you could listen to FM radio instead. LG Pay is also supported for when you’re back in civilization – complete with a fingerprint reader on the back for authentication. And when out in the wild, you can shoot 13MP photos with the rear camera and 5MP wide-angle selfies (100°). 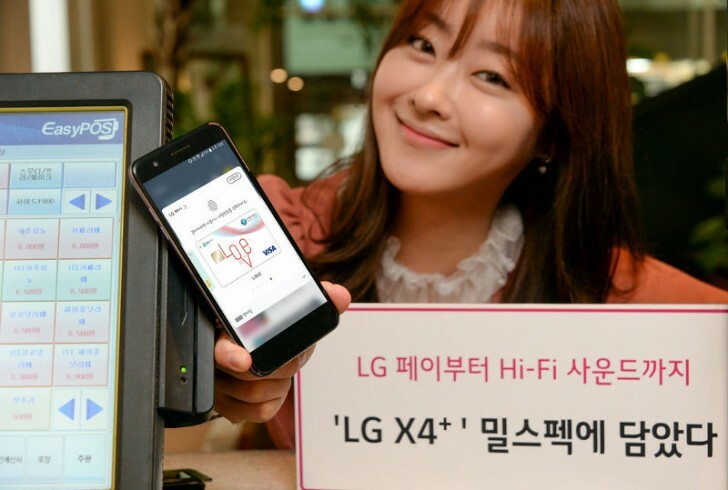 The LG X4+ will be available on the three major Korean carriers at a price of KRW 300,000 ($280/€230) with a choice between Moroccan Blue and Lavender Violet for the exterior. It’s not clear if it will get a western launch, but in case it doesn’t you can consider the more capable (but more expensive) LG X venture. Or if you don't care about the ruggedness or the DAC, check out the LG K10 (2017) instead. Is this one actually mil title worthy unlike the v30? Phone specially designed for filming adult movies and scenes as such.